Tattrie, Jon . "Newfoundland and Labrador and Confederation". 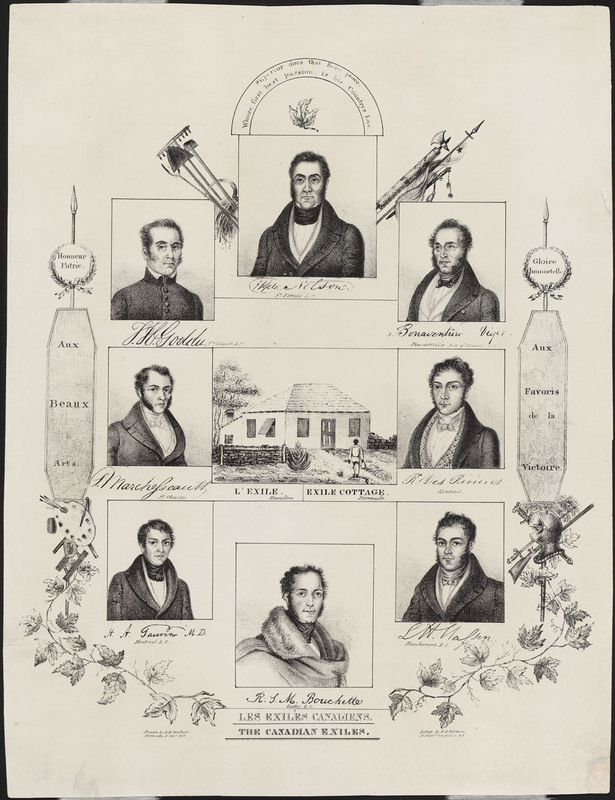 The Canadian Encyclopedia, 29 March 2019, Historica Canada. 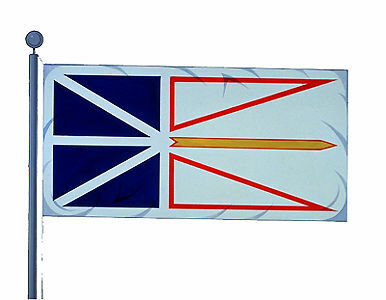 https://www.thecanadianencyclopedia.ca/en/article/newfoundland-and-labrador-and-confederation. Accessed 23 April 2019. ​Newfoundland became Canada's 10th province in 1949, following a century of lukewarm interest in Confederation and a narrowly won pro-union referendum. Newfoundland became Canada's 10th province in 1949, following a century of lukewarm interest in Confederation and a narrowly won pro-union referendum. Beothuk people were among the first in the Americas to encounter Europeans, when Vikings settled in L’Anse aux Meadows around 1000 CE. The Vikings left after a few years, and Europeans only returned in 1497 with John Cabot's mapping expedition. Britain claimed the territory in 1583. 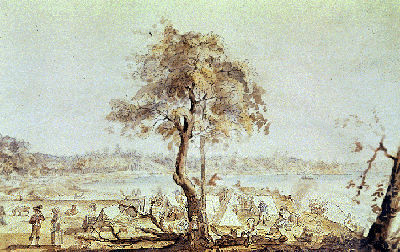 While the Beothuk were destroyed by warfare and disease, the European population reached 140,000 by the mid-1800s. The colony was run by a British governor and an appointed council in the early 1800s, and received responsible government in 1855. Newfoundland was not part of the Charlottetown Conference of 1864, when leaders from Prince Edward Island, Nova Scotia, New Brunswick and the Province of Canada met to discuss Confederation; conference organizers had assumed Newfoundland was not interested in a wider union. However, two of the colony's officials did attend the subsequent Quebec Conference that same year, which ironed out the details of Confederation. Newfoundland politicians Ambrose Shea and F.B.T. 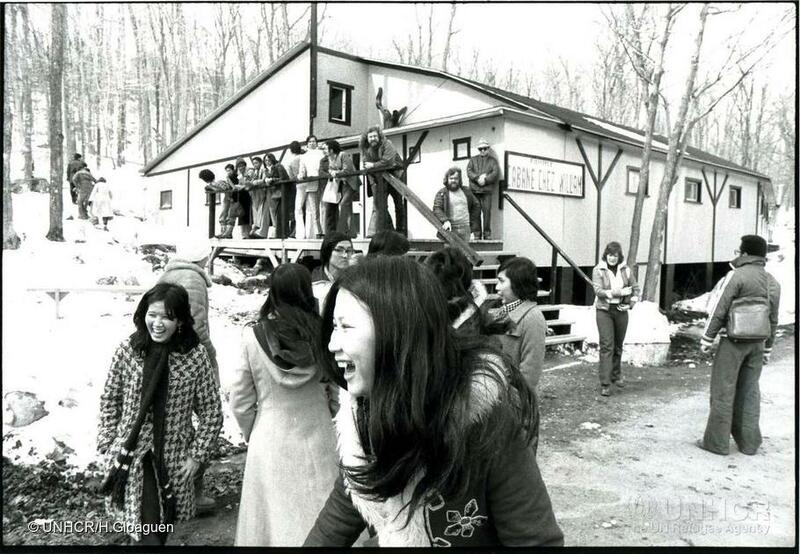 Carter went to Quebec as observers rather than voting delegates. They brought back positive impressions of Confederation, which were debated in the legislature in St. John's. Public opinion in Newfoundland toward Confederation was mixed. Politician Charles Fox Bennett led the anti-French, anti-Confederation movement, warning of high taxes and conscription into Canadian wars. Despite his efforts, a pro-Confederation government won the Newfoundland election in 1865 but didn’t successfully pursue union with Canada. The colony suffered a bank crash in the 1890s, which by 1895 led to a renewed interest in Confederation as a solution for Newfoundland's financial troubles. Canada offered less favourable financial terms than Newfoundland wanted, however, and no deal on union was reached. Support among Newfoundlanders for becoming Canadian had never been strong. The First World War initially brought prosperity to Newfoundland, which used its new wealth to build roads, railways and send a regiment into battle. By the 1920s, however, Newfoundland was in debt — a problem made much worse by the Great Depression of the next decade. Facing bankruptcy, Newfoundland's leaders suspended responsible government in 1934 and accepted an unelected Commission Government directed by Britain. Newfoundland became an important strategic base in the Second World War, which brought back prosperity thanks to American, British and Canadian military investment. In 1949, the colony cleared its debts and enjoyed a $40-million surplus. In 1946, an elected National Convention was created to examine the colony's political future. For two years, a vigorous debate ensued over whether to continue with the Commission Government, join Canada or seek a return to responsible government as an independent dominion. A bitterly fought referendum campaign ensued, led on the Confederation side by Convention member Joseph Smallwood, who argued that Canada would raise living standards for Newfoundlanders. The Confederation option was also encouraged by Britain. 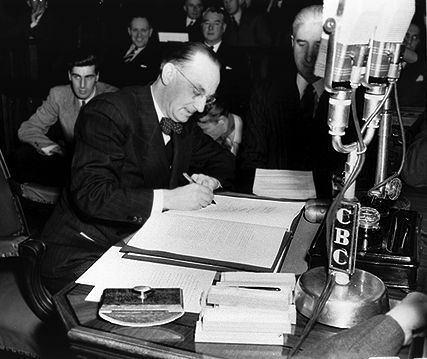 In the referendum of June 1948, the responsible government option received 44.6 per cent of votes, Confederation received 41.1 per cent and the Commission Government option received 14.3 per cent. 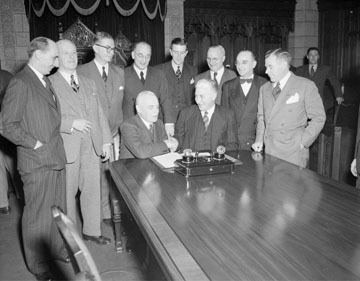 A month later a run-off vote was held between responsible government and Confederation, and Confederation won with 52.3 per cent support. Canada was eager to bring Newfoundland into Confederation, partly out of fears that the United States, with a large military presence there, would one day take possession of the territory. Smallwood led a team to Ottawa to negotiate the terms of entry with Prime Minister Mackenzie King. The British and Canadian parliaments approved of the terms of merger, and on 31 March 1949, Newfoundland became Canada’s 10th province. Smallwood was elected its first premier. 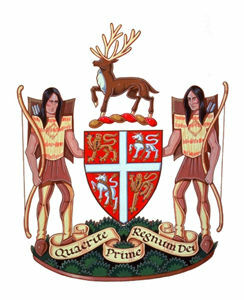 In 2001, the province's name was officially changed to Newfoundland and Labrador. (artwork by Karen E. Bailey/courtesy Library and Archives Canada). Joey SmallwoodA video about Joey Smallwood’s role in pushing for union with Canada rather than remaining a British colony or becoming an independant nation. From YouTube.